Most people tend to take the plumbing systems in their homes for granted. However, when they have a problem with their plumbing, their normal lives come to a halt real fast. This is especially true when it comes to clogged drains. 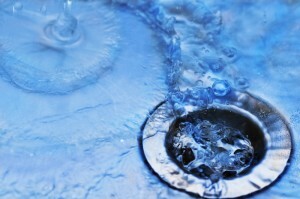 When drains clog up, people can no longer use their toilets, sinks or showers. In many cases, people are tempted to use a chemical drain cleaner to solve their plumbing problems. Although these chemical drain cleaners are inexpensive and readily available, they may be dangerous when used. These chemical drain cleaners can be dangerous to your health and plumbing system. The chemicals used in drain cleaners can cause irritation to your skin and eyes. Your skin can burn or become itchy if it comes into contact with the chemicals in a drain cleaner. Also, these chemical drain cleaners emit powerful fumes that can cause your eyes to water or worse. If these chemicals accidentally get into your eyes, you may need to get immediate professional medical help to prevent permanent damage to your eyes. The chemicals used in drain cleaners also create a vapor that can be damaging to your lungs if it is inhaled. You should always take the proper safety precautions when handling these chemical drain cleaners if you must use them. Many chemical drain cleaners are potentially harmful to your plumbing system. These chemicals may cause your drain pipes to deteriorate and leak. Remember that a chemical that is powerful enough to dissolve an obstruction in your drain is also powerful enough to dissolve other things, like the drain pipe itself. Another problem with using a chemical drain cleaner is that it is only a temporary and limited fix. A chemical drain cleaner will not help you clear out obstructions that are located far along the drain line. They also will not help out if there are major obstructions clogging your drain. 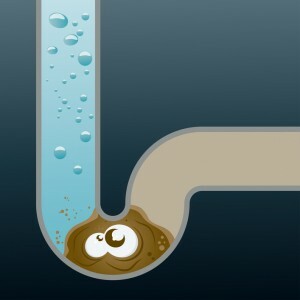 For these kinds of drain problems you need the help of a professional plumber. The best reason to call a plumber instead of using a chemical drain cleaner is to get the job done right the first time. When you call a professional plumber, you spare yourself the health risks and the potential damage to your plumbing system. professional plumber has the skills and equipment to completely clear out all obstructions from your drains and have them working as good as new. Don’t take chances with chemical drain cleaners; call a plumbing professional to take care of your problem. Do you have a clog in your Annapolis home? Don’t resort to ineffective toxins, call the experts of Heidler Plumbing at (410) 268-7191!